In this Topical Zoom episode, I talk about goals for each of the stages in Dave McClure’s AARRR Startup Metrics and share some common mistakes, pitfalls I’ve seen early-stage startups make and share some tips. What will you learn about AARRR Startup Metrics? You will learn how to set goals for each of the stages of the AARRR Startup Metrics as a Product Manager. You will also learn some of the most common mistakes startups and product managers make based on first-hand experience. 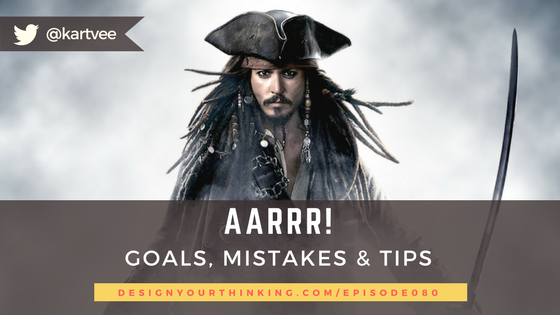 I also share some tips that will help you pick the right goals and metrics for each of the stages of AARRR.